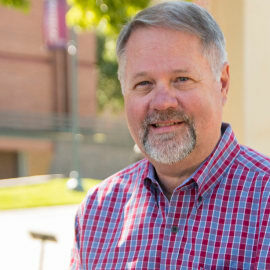 Vice President of Community College Affairs and Chief Operating Officer of Western Colorado Community College, a division of Colorado Mesa University. In this capacity, also serves as the Executive Director of the Grand Valley Board of Cooperative Educational Services (BOCES). Dennis has 30+ years of community college experience working with industry to improve instruction and student employment. Education: Associate’s degree, Mesa College; Bachelor’s degree, University of Oregon; Master’s degree, Wichita State University; Doctoral work, Oregon State University. Dennis is the fourth generation Western Coloradoan.